LOVE this Circle Vine Monogram with Family Name on sale for $24.99 (Retail $44.99)! 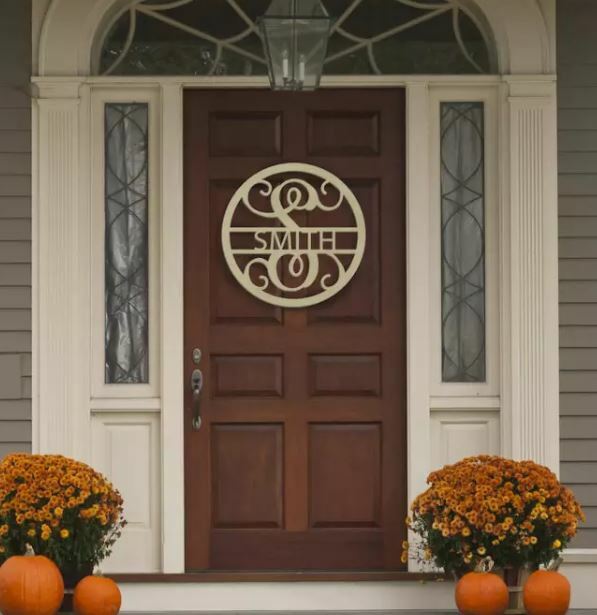 Our HUGE Circle Monogram with Family Name is perfect for any office, front door, or just as a focal point in your favorite room. They also make fabulous personalized gifts for showers, weddings, holidays and housewarmings. Each piece will arrive UNFINISHED with your choice of ONE name cut in ALL capital letters. It is easy to finish with your favorite paint, stain or embellishment. Shipping $6.99 for the first item and $2.99 for each additional item.